A New Level of Refinement: Luxurious materials like Brushed Aluminum and available Natural Olive Ash Burl Wood perfectly complement the leatherette or available premium Milano leather upholstery. Audio Options: Pick between the Acura Premium Audio System, the Acura/ELS Studio® Premium Audio System, or the Acura/ELS Studio® 3D Premium Audio System to play your personal soundtrack in Niles. More Interior Features: The RDX includes standard white ambient cabin lights, and auto-dimming frameless rearview mirror, a leather-wrapped steering wheel, and the peerless design of the Acura brand. 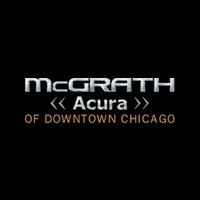 Critical Reception: In Acura RDX reviews, Car and Driver was quick to point out this luxury crossover’s “quiet interior.”* See it for yourself by visiting McGrath Acura of Downtown Chicago near Oak Park. Compare the Acura RDX vs. BMW X3, INFINITI QX50, Volvo XC60, Acura MDX, and Lexus RX 350 to find out which of these luxury crossover SUVs is the right one for you. Explore the available RDX packages and performance specs before you visit McGrath Acura of Downtown Chicago near Riverside.